The field of deep reinforcement learning combines deep learning techniques with reinforcement learning algorithms to develop intelligent agents that can tackle a wide variety of challenging tasks. Recent years have seen the development of a wide class of deep reinforcement learning agents which have been successfully employed in complex environments such as video games, board games and robotics. However, most of the current state-of-the-art agents employ methods which belong to the model-free class of RL algorithms. In this lecture we will take a look into a different class of RL agents which constitute the class of model-based algorithms. These agents make use of an internal model of the world in order to optimise their acting policy. This talk will present different model-based approaches and will consider their pros and cons in comparison to their model-free counterparts. In this lecture we will dive deeper into the different approaches of model-based reinforcement learning. We will examine different modes of model learning (pixel based, implicit, stochastic models etc) and how they can be utilised for planning, augmenting real experience or as auxiliary tasks. Board games have been widely used in the field of artificial intelligence as test-beds for the development of new algorithms. Chess and Go are among the most studied games in AI as they represent a class of complicated and self-contained environments ideal for AI research. Previous attempts to achieve super-human performance in these domains led to the development of highly specialised and domain-specific methods. In this lecture we will examine AlphaZero, a reinforcement learning algorithm which has mastered the board games of Go, Chess and Shogi achieving state-of-the-art performance without requiring any domain specific adaptations or human data. Unlike AlphaGo, AlphaZero is trained purely through self-play completely from scratch without using any prior human knowledge. 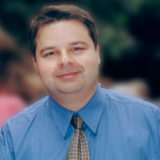 Marco Gori received the Ph.D. degree in 1990 from Università di Bologna, Italy, while working partly as a visiting student at the School of Computer Science, McGill University – Montréal. 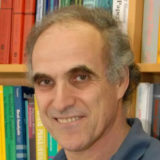 In 1992, he became an associate professor of Computer Science at Università di Firenze and, in November 1995, he joint the Università di Siena, where he is currently full professor of computer science. His main interests are in machine learning, computer vision, and natural language processing. 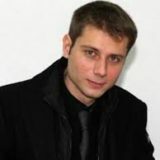 He was the leader of the WebCrow project supported by Google for automatic solving of crosswords, that outperformed human competitors in an official competition within the ECAI-06 conference. He has just published the book “Machine Learning: A Constrained-Based Approach,” where you can find his view on the field. 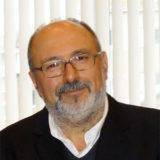 He has been an Associated Editor of a number of journals in his area of expertise, including The IEEE Transactions on Neural Networks and Neural Networks, and he has been the Chairman of the Italian Chapter of the IEEE Computational Intelligence Society and the President of the Italian Association for Artificial Intelligence. 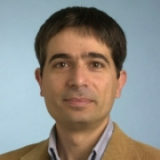 He is a fellow of the ECCAI (EurAI) (European Coordinating Committee for Artificial Intelligence), a fellow of the IEEE, and of IAPR. He is in the list of top Italian scientists kept by VIA-Academy. I will cover the basic theory and practice of generative adversarial networks (GANs). These are a powerful and currently popular class of generative model. In these models, a generator network is trained to map random noise to an output distribution that is indistinguishable from the distribution of natural photos, according to an adversary that tries to classify between these two distributions. GANs can synthesize remarkably realistic photos, sounds, and other kinds of data, but the realism often comes at the cost of limited diversity in the samples. I will cover how this can be caused by “mode collapse” and some ways to ameliorate it. I will also talk about a variety of architectures and objectives used in current GAN practice. GANs can hallucinate realistic photos but what if we don’t want to just make up data from scratch? More often, we are given some data and wish to make predictions based on it. For example, given the current view of the world, predict what the future will look like. This is an application for conditional GANs, which condition on observed data and make a prediction about unobserved data. Unlike most traditional predictors, conditional GANs are adept at dealing with both high-dimensional input observations and high-dimensional output predictions. I will show a number of applications in vision and robotics. GANs can be understood as a tool for mapping one data distribution into another. In this third lecture on GANs, we will adopt this perspective and see how it leads to powerful applications for domain adaptation and translation. The idea is to learn a mapping from a source domain to a target domain such that the output is identically distributed as the target domain. I will show how this can be used to translate between various visual styles (e.g., turn photos into monet paintings), make predictions from very limited supervision (e.g., in medical imaging, where supervision is expensive), and achieve “sim2real” transfer, where we train a robotic policy on simulated data but apply it in the real world. Leslie Pack Kaelbling is Professor of Computer Science and Engineering at MIT. She has previously held positions at Brown University, the Artificial Intelligence Center of SRI International, and at Teleos Research. 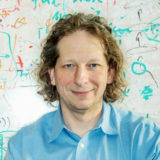 Prof. Kaelbling has done substantial research on designing situated agents, mobile robotics, reinforcement learning, and decision-theoretic planning. 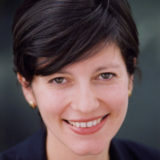 In 2000, she founded the Journal of Machine Learning Research, a high-quality journal that is both freely available electronically as well as published in archival form; she currently serves as editor-in-chief. 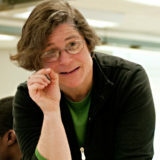 She is an NSF Presidential Faculty Fellow, a former member of the AAAI Executive Council, the 1997 recipient of the IJCAI Computers and Thought Award, a trustee of IJCAII and a fellow of the AAAI. She received an A. B. in Philosophy in 1983 and a Ph. D. in Computer Science in 1990, both from Stanford University. Her goal is to make intelligent robots: she did some of the earliest work on reinforcement learning and partially observable Markov decision process (POMDP) in robotics, and is currently focused on integrating geometric, probabilistic, and logical reasoning. Robust Intelligent Robots, Task and Motion Planning for Autonomous Robots, Learning and Optimization. We examine the general problem of designing robot systems from a decision-theoretic perspective that makes it clear when an individual needs to learn when it is actually performing its tasks (in the wild) and when the AI engineers need to use learning methods to design a good robot learner. We will examine several learning paradigms from this perspective and talk about methods for meta-learning, including modular meta-learning and graph element networks. Many robotics problem distributions are better addressed by learning models and using them to do online reasoning (an approach also known as model-predictive control) than by learning a policy or value function. We begin by discussing this claim, and then study the forms of models that are most appropriate for different types of planning problems. We then examine two new approaches for learning models that are appropriate for planning in complex hybrid (mixed discrete and continuous) problems, such as robot task and motion planning. One approach is based on Gaussian-process active learning and another on an extension of graph neural networks. An important role for learning is to speed up search: this is the critical role that learning plays in methods such as Alpha-Zero. We will examine several different mechanisms that can be used (including learning heuristic or static evaluation functions and learning to bias the action sampling distribution), with a focus on problems that require choosing actions from a continuous or hybrid space. Data Science aims to develop models that extract knowledge from complex data and represent it to aid Data Driven Decision Making. Mathematical Optimization has played a crucial role across the three main pillars of Data Science, namely Supervised Learning, Unsupervised Learning and Information Visualization. For instance, Quadratic Programming is used in Support Vector Machines, a Supervised Learning tool. Mixed-Integer Programming is used in Clustering, an Unsupervised Learning task. Global Optimization is used in MultiDimensional Scaling, an Information Visualization tool. Data Science models should strike a balance between accuracy and interpretability. Interpretability is desirable, for instance, in medical diagnosis; it is required by regulators for models aiding, for instance, credit scoring; and since 2018 the EU extends this requirement by imposing the so-called right-to-explanation. In the first lecture, we show thatMathematical Optimization is the natural tool to model the trade-off between accuracy and interpretability. In the second lecture, we zoom in and talk about the optimization of classification trees, to enhance their accuracy without harming interpretability. Finally, in the third lecture we discuss black-box methods such as support vector machines and how we can enhance their interpretability. 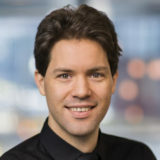 Joaquin Vanschoren is Assistant Professor in Machine Learning at the Eindhoven University of Technology. 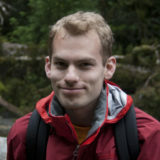 His research focuses on machine learning, meta-learning, and understanding and automating learning. 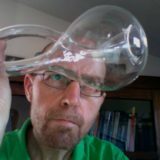 He founded and leads OpenML.org, an open science platform for machine learning. 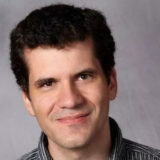 He received several demo and open data awards, has been tutorial speaker at NeurIPS and ECMLPKDD, and invited speaker at ECDA, StatComp, AutoML@ICML, CiML@NIPS, DEEM@SIGMOD, AutoML@PRICAI, MLOSS@NIPS, and many other occasions. He was general chair at LION 2016, program chair of Discovery Science 2018, demo chair at ECMLPKDD 2013, and he co-organizes the AutoML and meta-learning workshop series at NIPS and ICML. 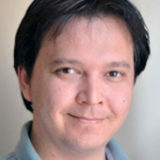 He is also co-editor of the book ‘Automatic Machine Learning: Methods, Systems, Challenges’. Automated machine learning is the science of building machine learning models in a data-driven, efficient, and objective way. It replaces manual trial-and-error with automated, guided processes. In the first lecture, we will examine the most prominent problem in automated machine learning: hyperparameter optimization. We will discuss model-free blackbox optimization methods, Bayesian optimization, as well as evolutionary and other techniques. We will also cover multi-fidelity techniques, such as multi-armed bandits, to speed up the optimization of machine learning models and pipelines. When we learn new skills, we (humans) rarely start from scratch. We start from skills learned earlier in related tasks, and reuse experience accumulated over time. This allows us to learn faster, using much less data and trial-and-error. Learning how to build machine learning models based on prior experience is called meta-learning, or learning to learn. We will cover the spectrum from transferring knowledge about machine learning methods in general, via reasoning across tasks, to transferring previously trained machine learning models. We will also see practical tips on how to do meta-learning with OpenML. Finally, we focus on the automated construction of neural networks. We will survey existing approaches for neural architecture search, including differential (gradient-based) techniques, Bayesian optimization, evolutionary techniques, and reinforcement learning. We will also revisit meta-learning in the context of neural networks, to transfer information about previously tried model architecture to new problems. Recurrent Neural Networks have been the model of choice for processing sequences, but dealing with other structures such as graphs or sets requires models which preserve the invariances present on those, and presents some unique challenges. On the other hand, Transformers have been proposed recently, and have a strong connection with the Graph Neural Networks framework which proposes to structure the computation in a Neural Network as a graph. In this lecture, I’ll discuss these recent advances, and how they connect with one another. The focus of this lecture will, thus, focus on state-of-the-art architectures. Deep Reinforcement Learning has emerged as a sub-field in machine learning which extends the capabilities of Deep Learning systems beyond supervised and unsupervised learning. In the last few years, we have witnessed advances on domains in which complicated decisions must be carried by an “agent” interacting with an “environment”. In this talk, I will summarise the state of deep RL, highlighting successes in StarCraft thanks in part to imitation learning and scaling up self-play. This lecture will focus on imitation learning and the scale using AlphaStar as motivating example. Learning from a few examples is challenging for most deep learning systems. In this lecture, I will describe recent efforts on advancing this regime through forms of “meta-learning”. 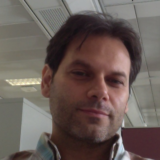 In particular, I will contrast the paradigms dominating this space: optimization based, in which an optimization procedure is carried out during inference to adapt to few examples; model based, which trains a neural network receiving a few examples which then should make the model quickly adapt; and metric based meta-learning, which uses a strong inductive bias based on measuring distances between exemplars. This lecture will focus on introducing a problem setup — meta learning — together with an overview of the state of this exciting new field.